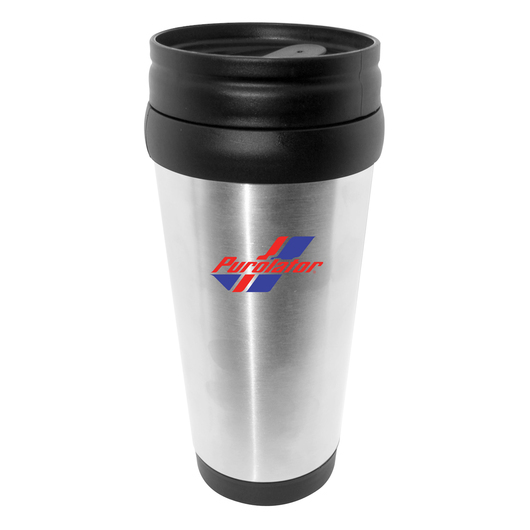 A standard travel mug that will keep your coffee hot and provide excellent brand exposure. Enjoy your morning coffee in style with some of these double wall tumblers with a plastic interior and a stainless steel exterior. They have a capacity of 473mL and a spill resistant lock top lid, waiting for your logo to call them home. They can be laser engraved or printed and come individually packaged in a white box. A nice gift idea.